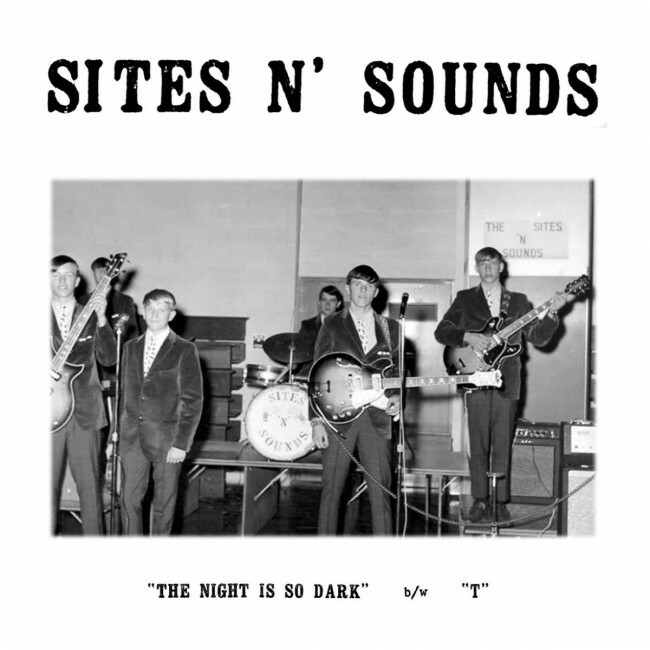 Black Gladiator and Slovenly are back with another archival 60s punk release, this time from an impossibly rare Delta, Pennsylvania 45 by SITES N' SOUNDS. Gigging from Baltimore to York to Hershey in the mid-60s, including an appearance on Baltimore's Kerby Scott TV program, Sites n' Sounds were students at Kennard-Dale High School when they recorded this absolutely genius single at Courier Recordings studio in Fremont, MD, releasing it on Ohio's CEI Records label in 1967. We dug up this 45 towards the end of 2016, listened to it about 100 times in a row that evening, and began researching the band the next day, which resulted in locating organ player Mike McFadden in our own backyard. He provided insanely cool band photos - two of which are reprinted in full color for the 7inch insert. When we alerted Crypt Records honcho Tim Warren to the discovery, he declared it an "unknown MONSTER mooder!" and applied his loving and astute mastering touch for re-release. We couldn't be more proud to present this haunting teenbeat single to the world 50 years later.